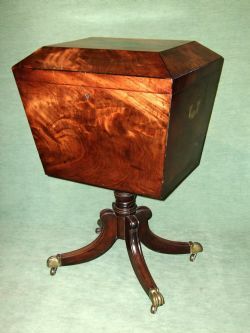 George 3rd Mahogany Cellarette Supported on Reeded Bun Feet. 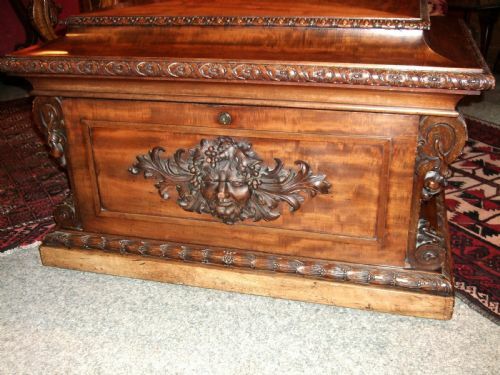 George 3rd Mahogany Cellarette with Carved Bacchanalian Details. 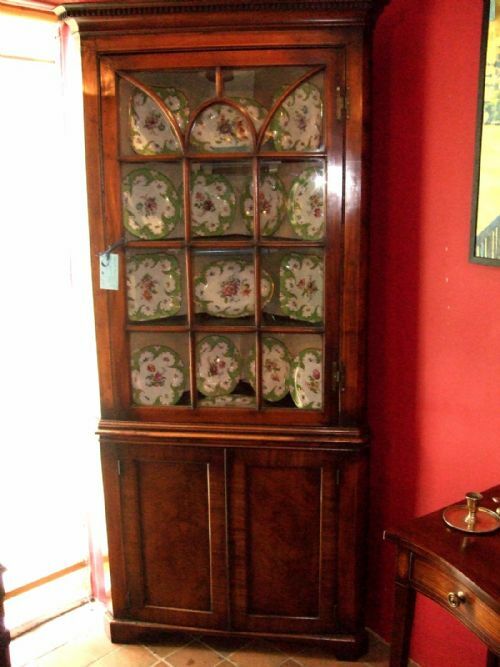 Superb Colour & Patination, with Green Baize Lined Interior. 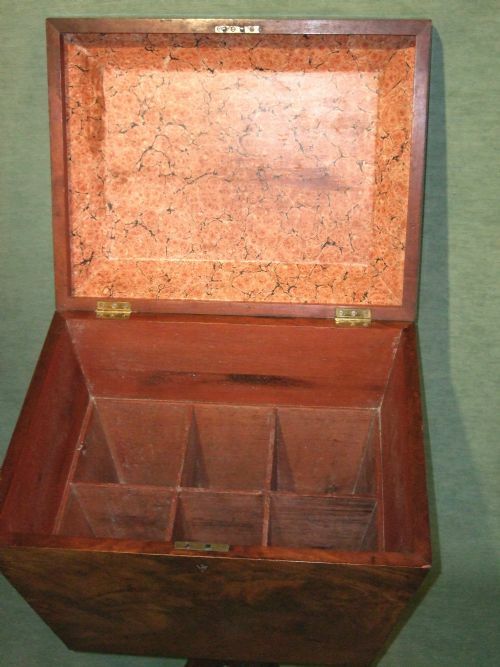 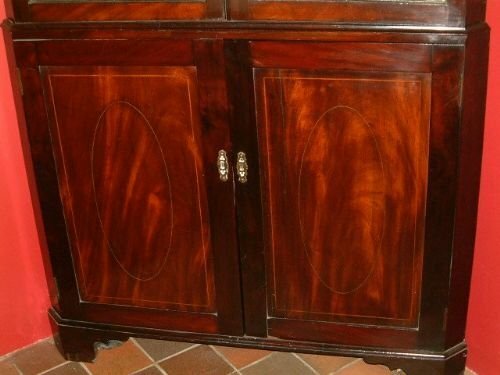 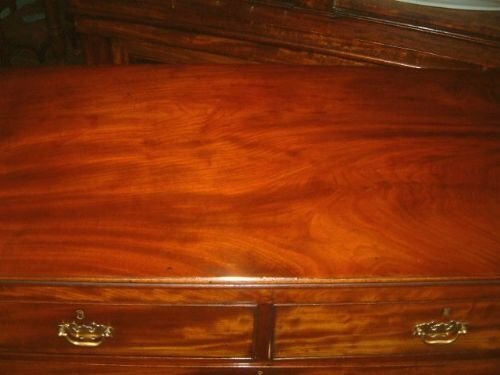 Superb Choice of Flame Mahogany. 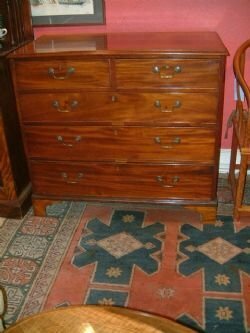 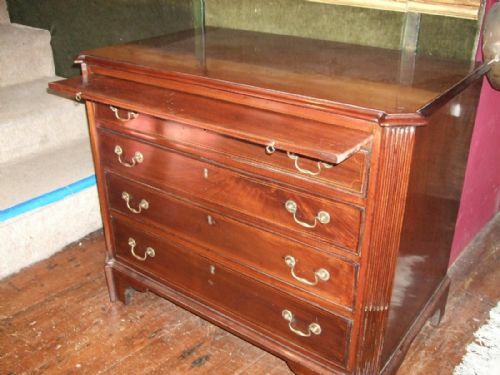 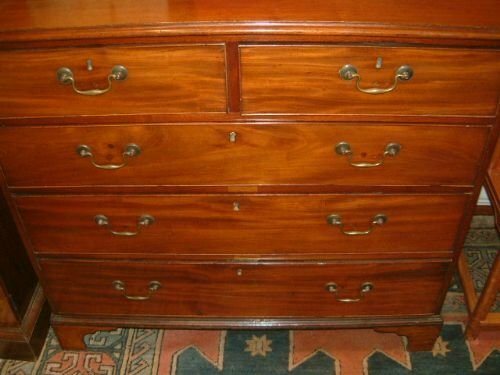 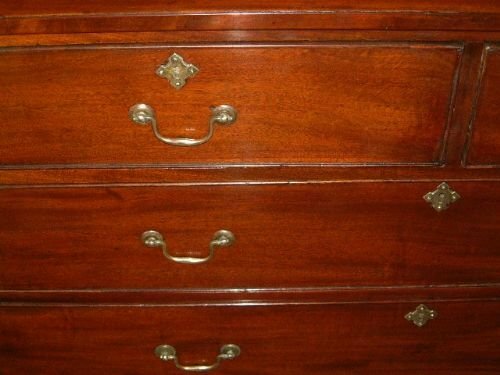 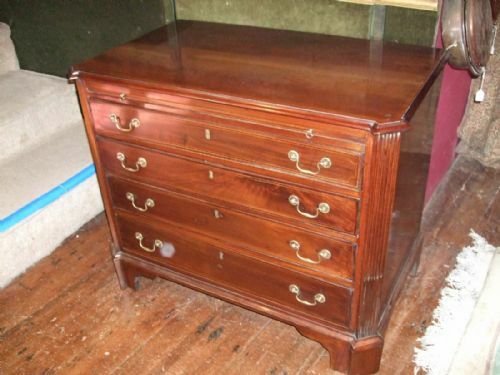 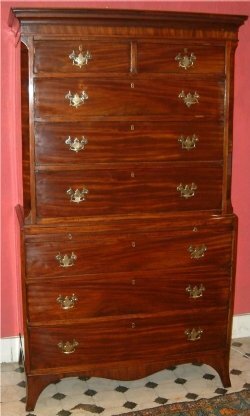 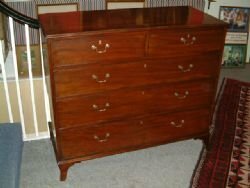 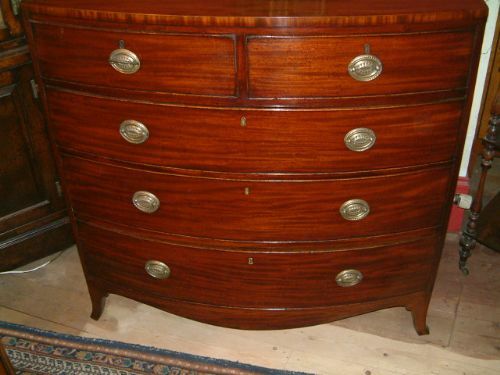 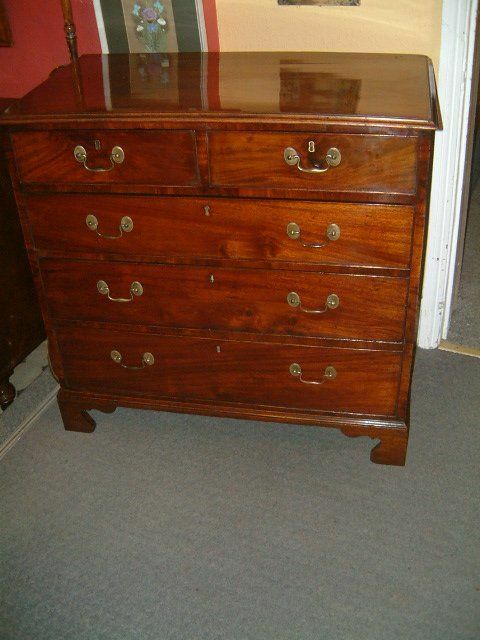 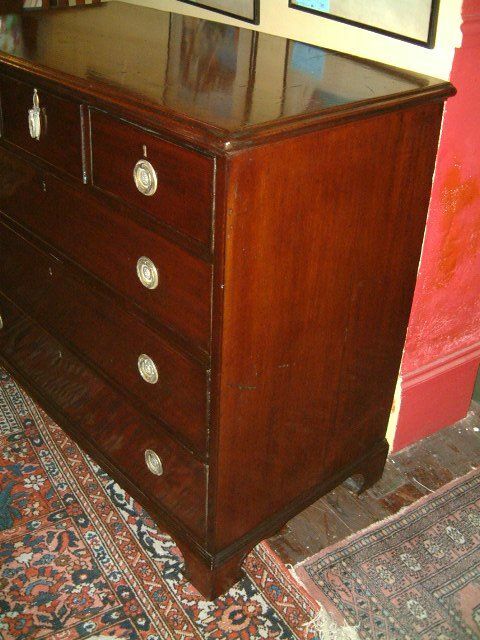 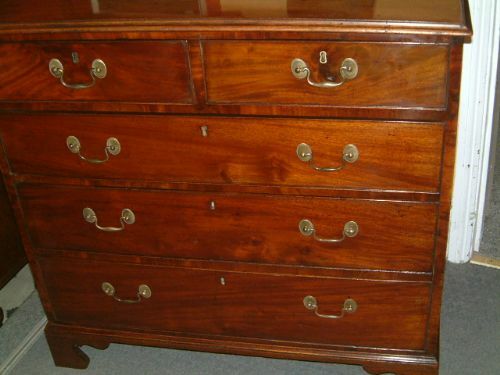 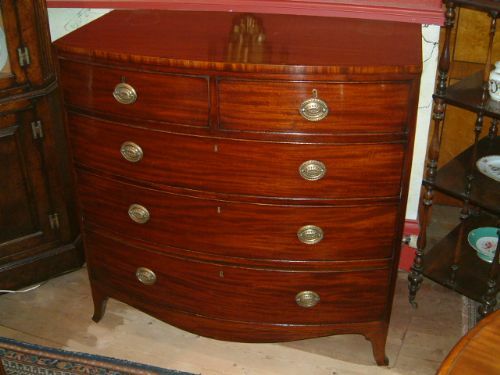 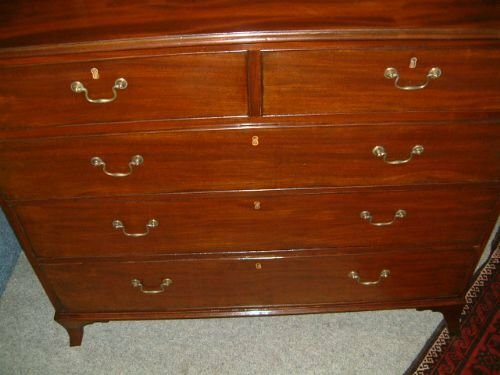 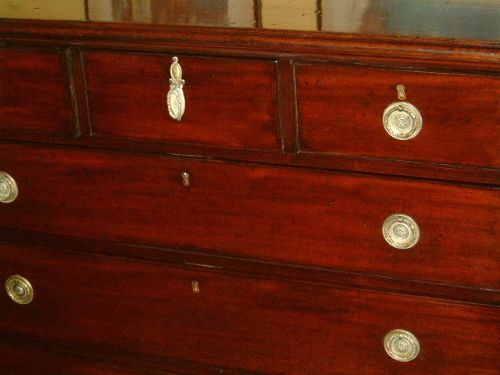 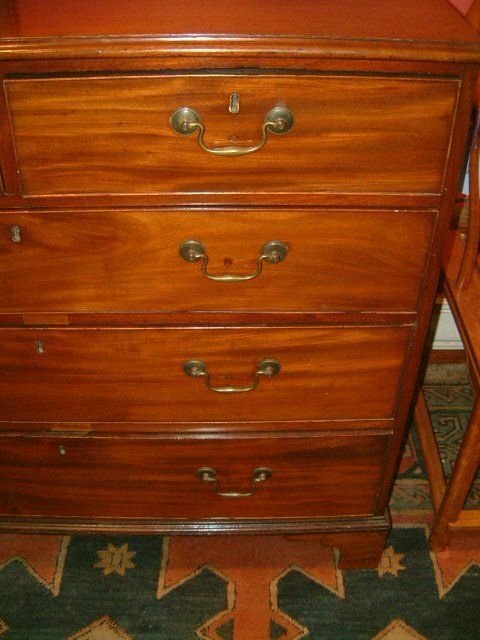 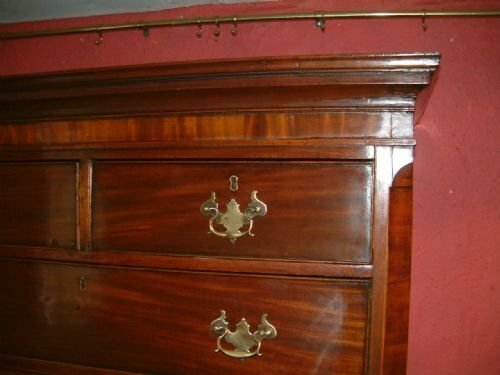 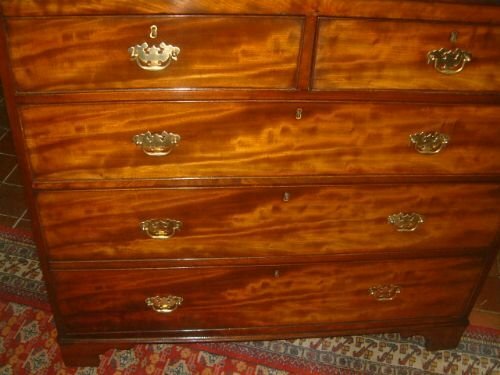 George 3rd Mahogany Chest of Drawers with Nice Brass Handles. 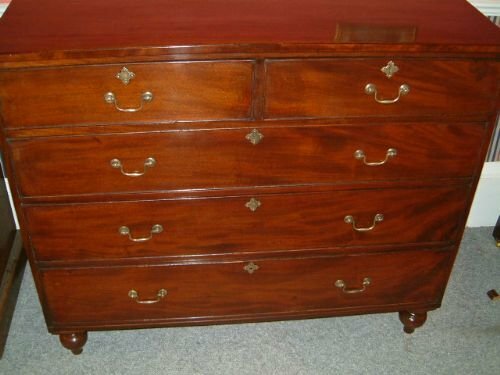 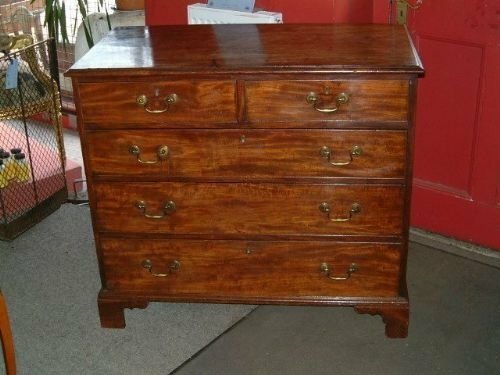 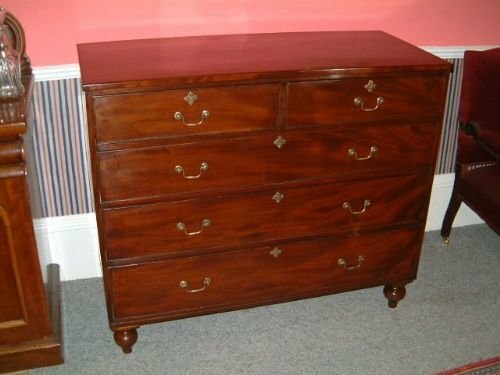 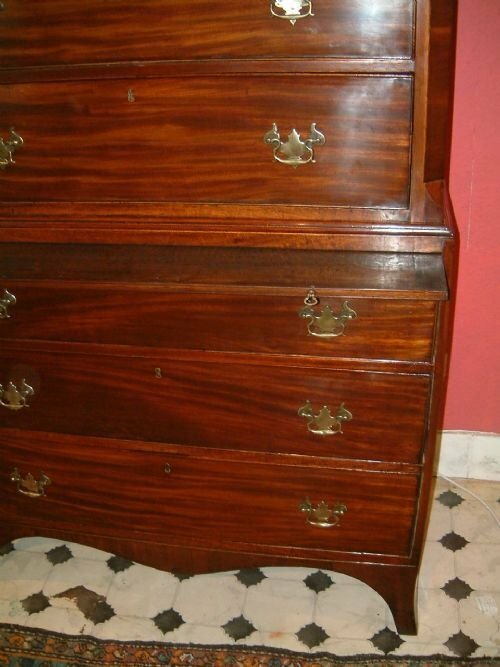 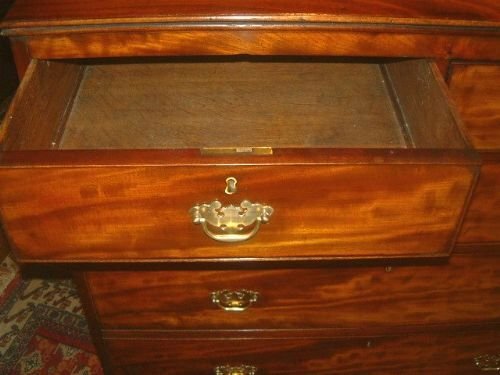 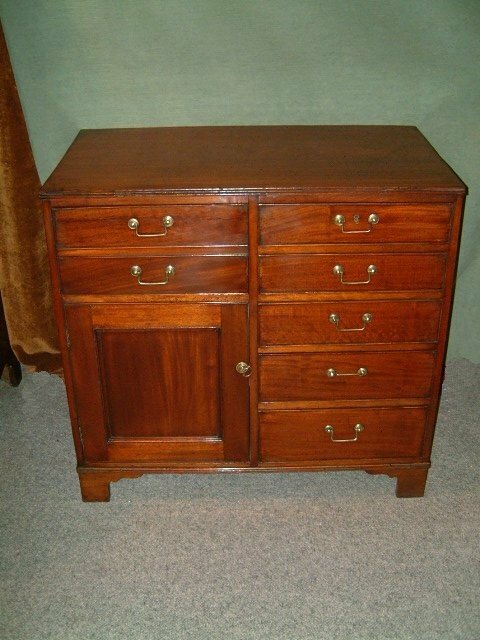 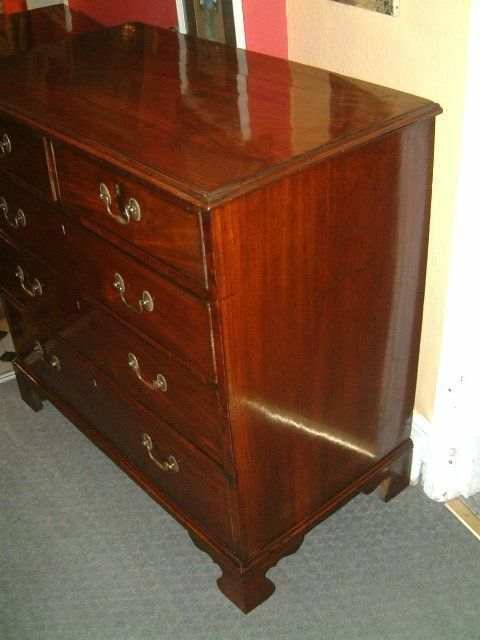 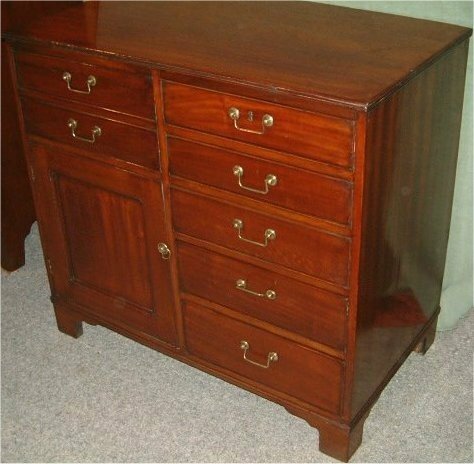 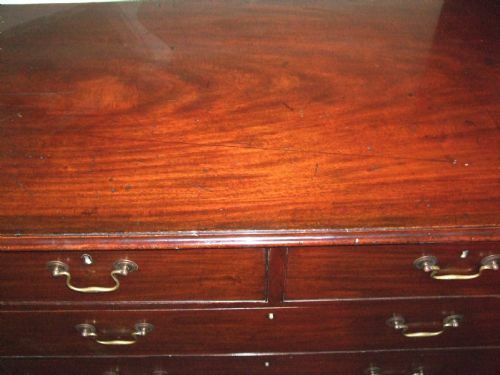 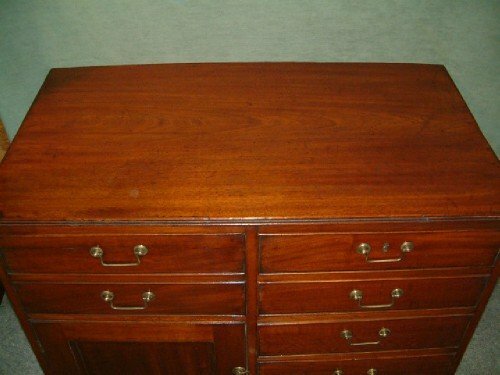 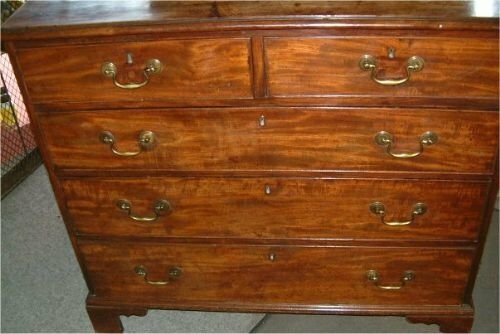 George 3rd Mahogany Chest of Drawers. 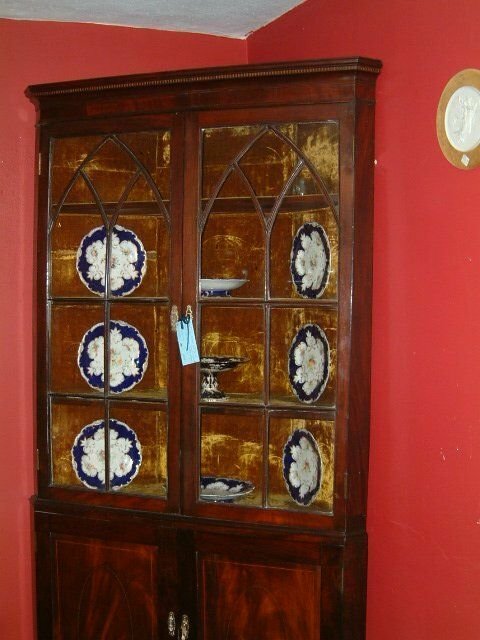 Good Colour and Figuring, later brasses. 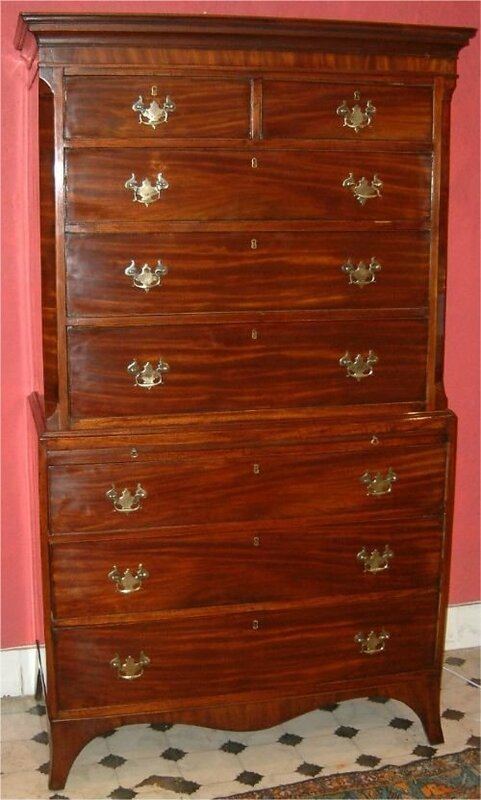 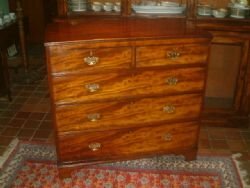 George 3rd Mahogany Chest of Drawers Nice Proportions Originaly with Wooden Knobs Some Replaced Veneers, Nice Brass Handles. 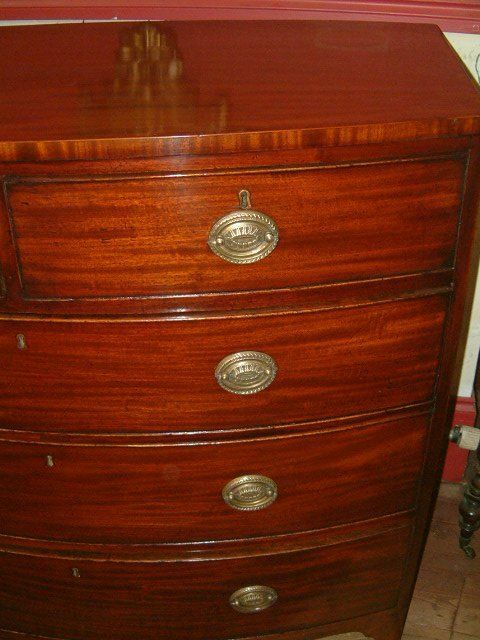 George 3rd Mahogany Chest of Drawers Good Proportions Colour & Patination with Georgian Brasses the Two Top Drawers previously with Knobs. 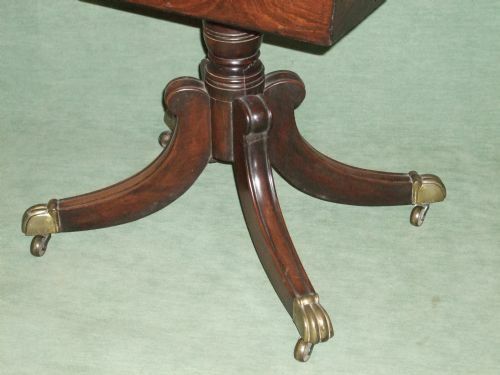 Supported on Bracket feet. 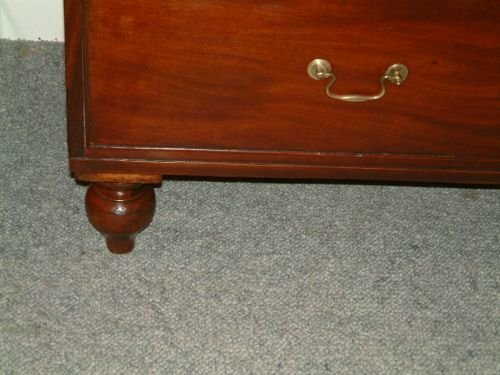 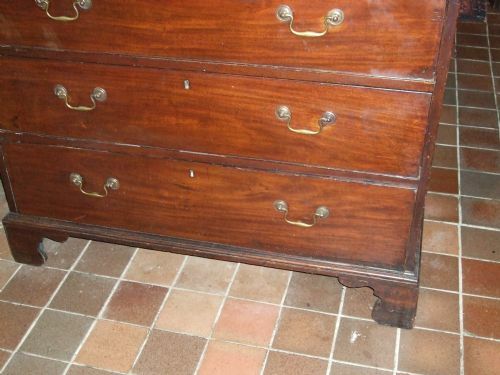 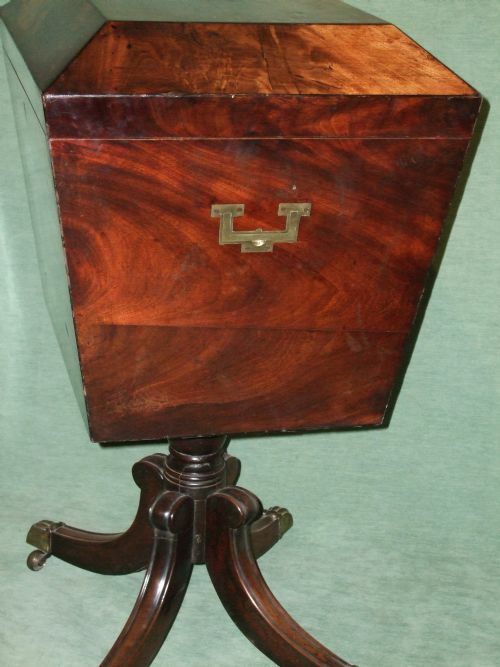 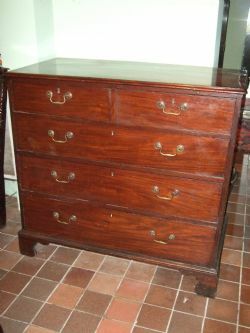 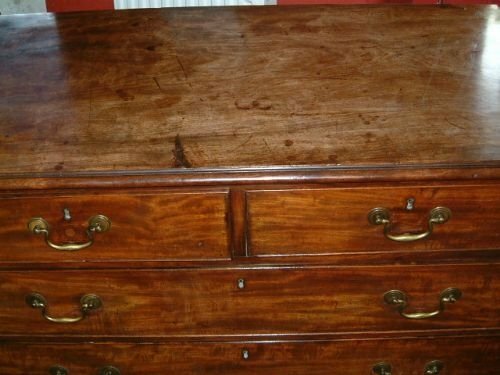 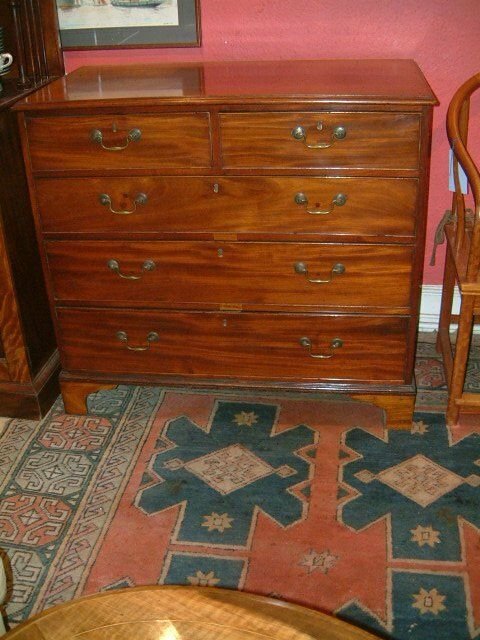 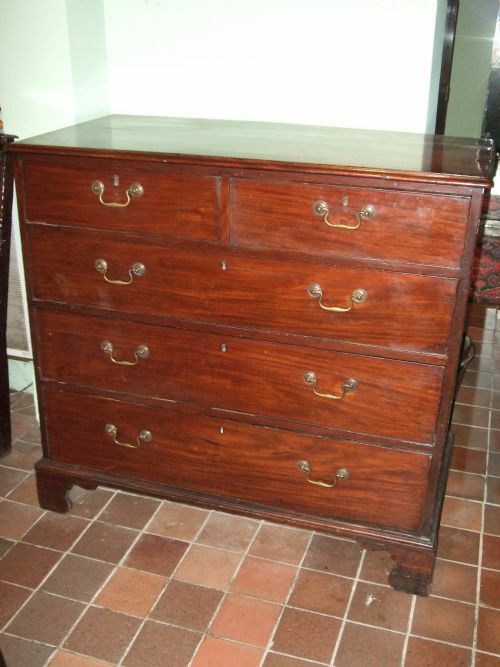 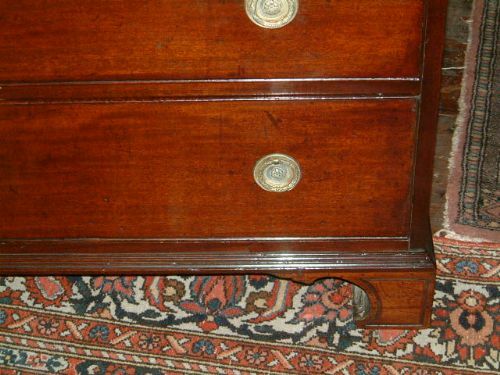 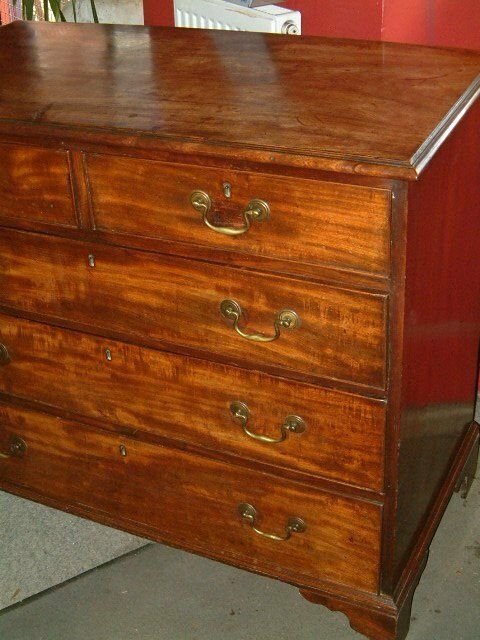 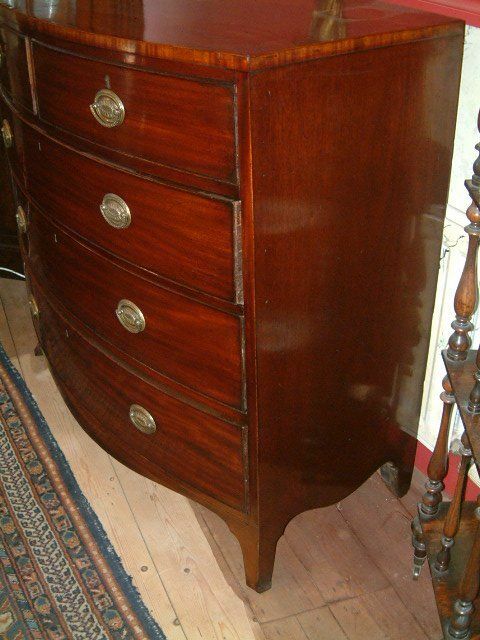 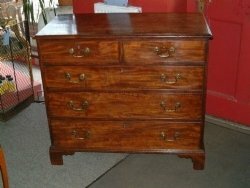 George 3rd Mahogany Chest of Drawers on Original Turned Feet, Excellent Colour & Figuring. 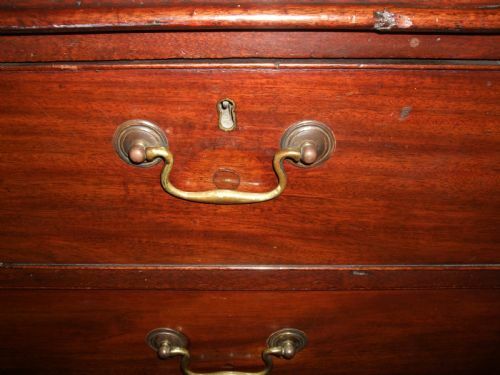 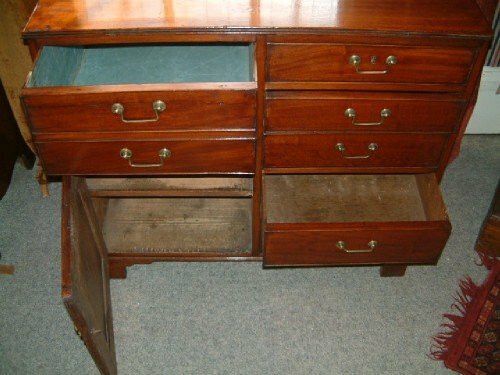 Evidence of Previous Knobs to top Drawers. 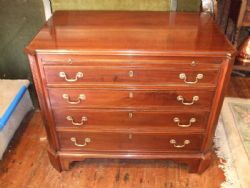 George 3rd Mahogany Chest of Drawers with Kingwood Crossbanded Top. 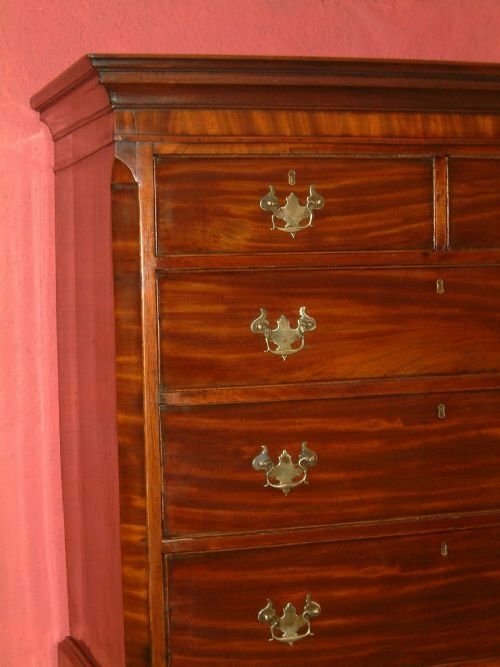 Good Colour and Choice of Veneers. 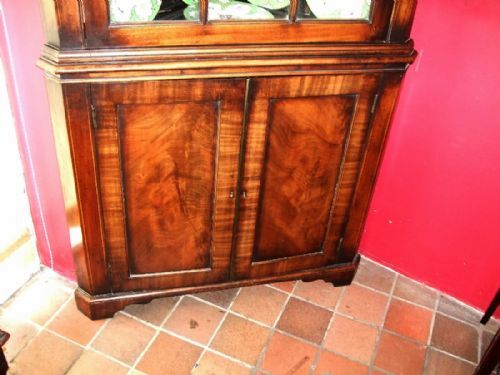 Good choice of veneers Canted Corners Brushing Slide, Supported on French Splay Feet. 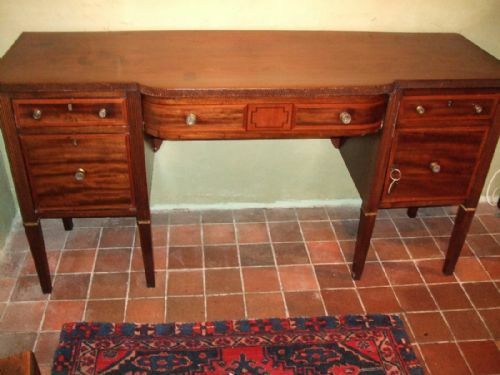 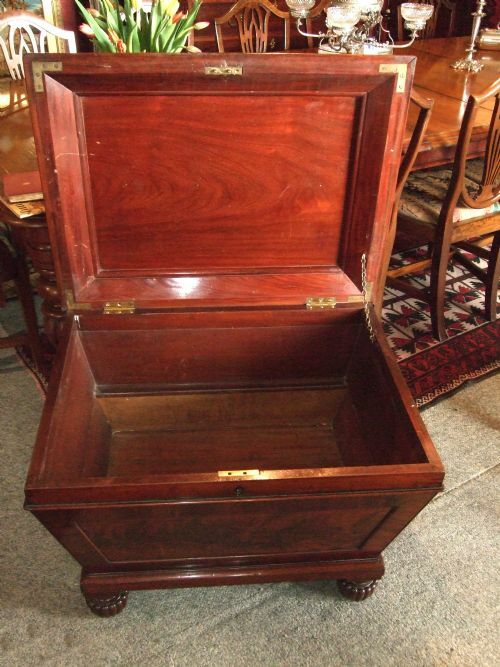 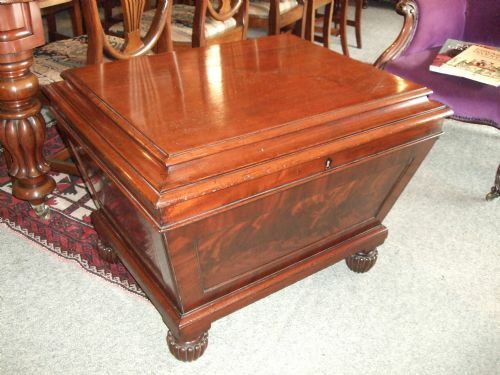 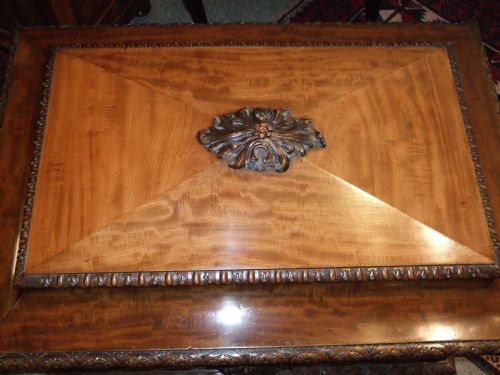 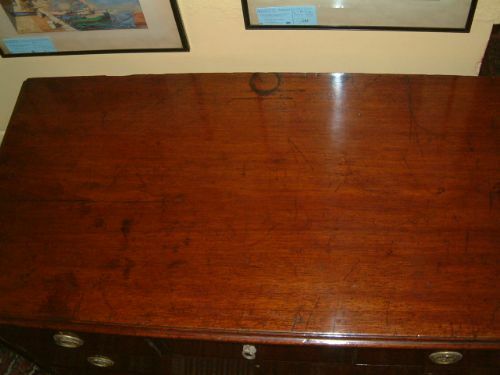 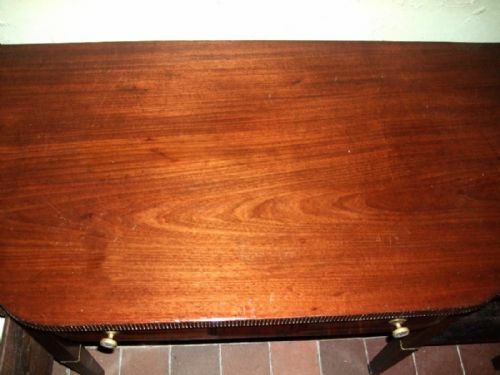 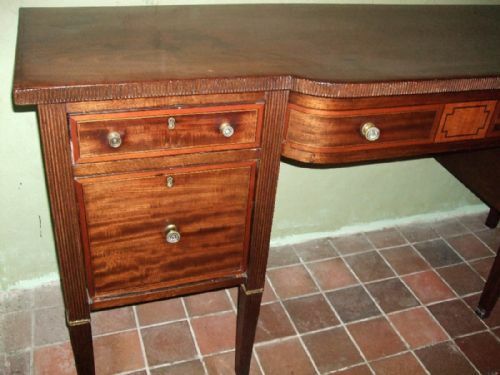 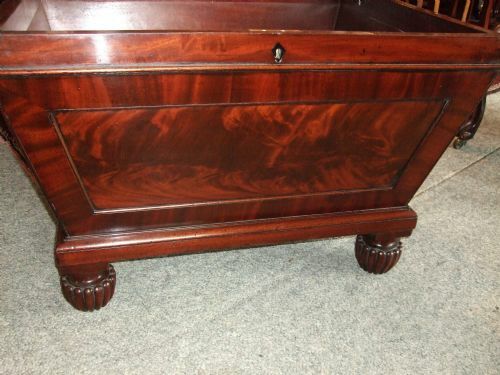 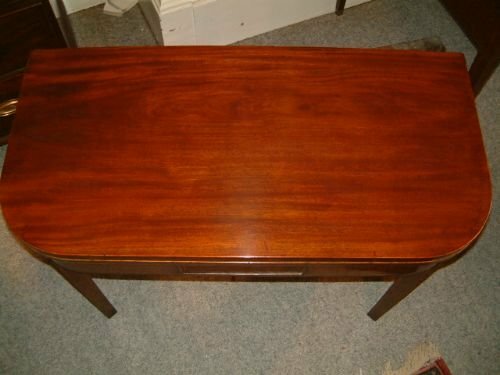 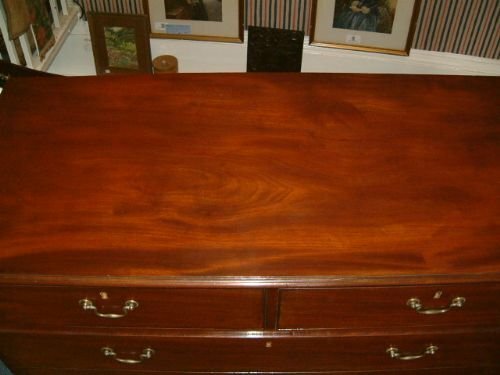 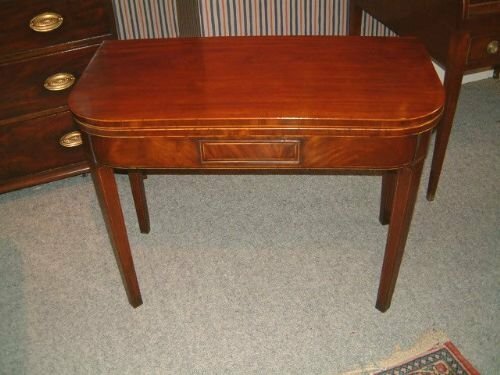 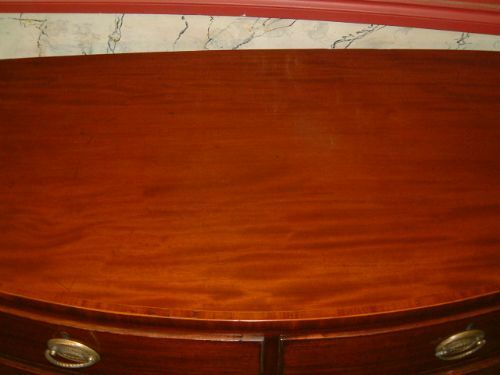 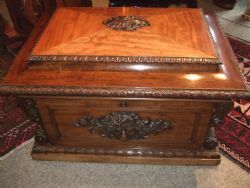 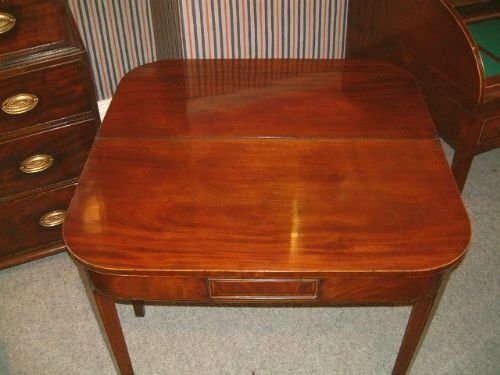 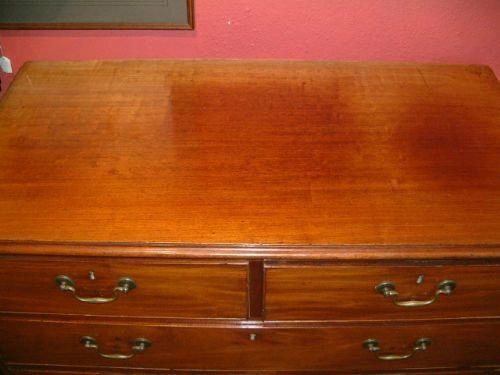 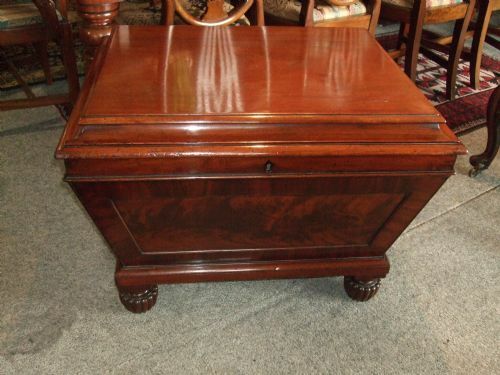 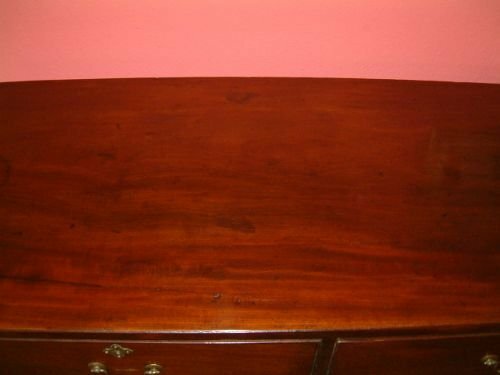 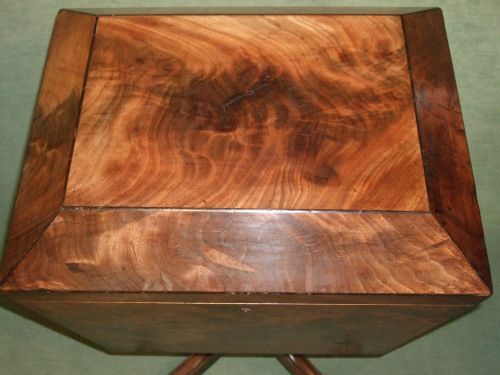 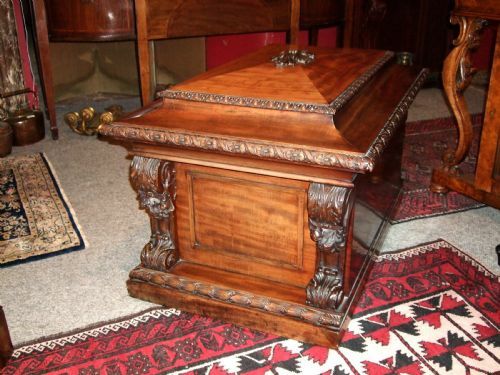 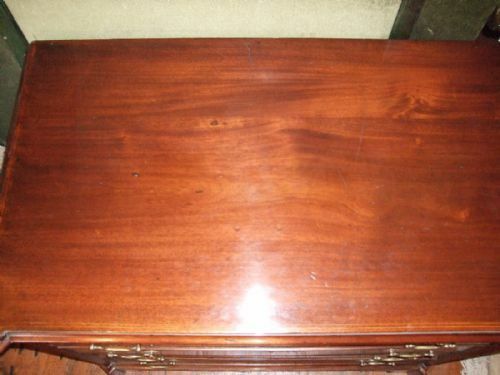 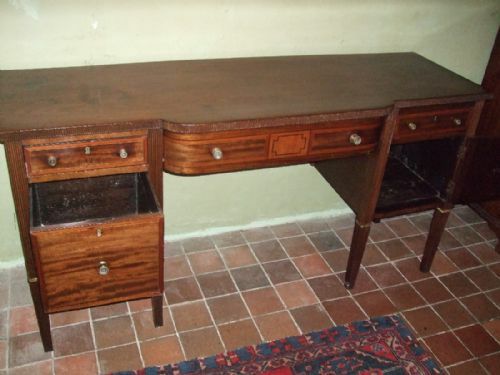 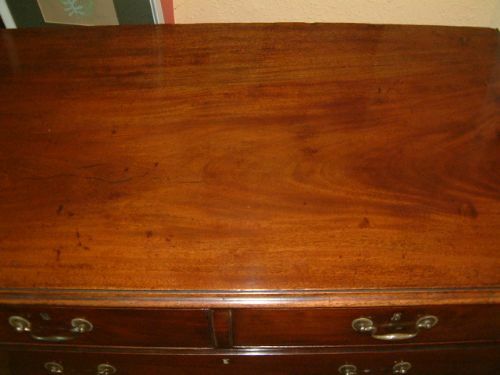 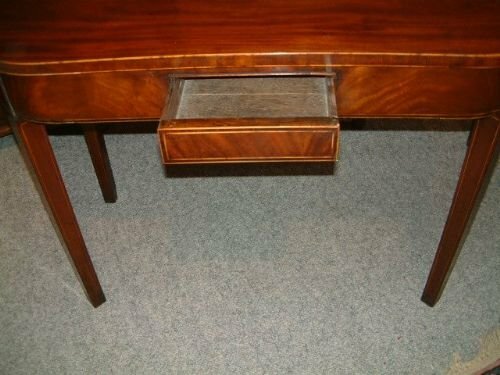 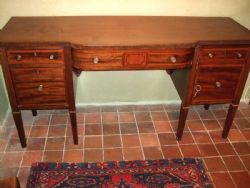 George 3rd Mahogany Fold Over Tea table with Drawer & Boxwood Lines Nice Figuring to the Mahogany. 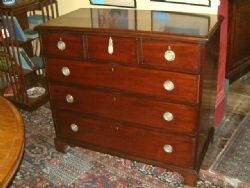 With Hat drawer & Cupboard Below & Five Graduated Drawers to the Side Supported on Bracket Feet. 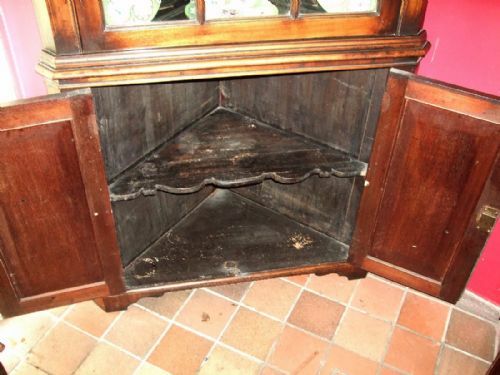 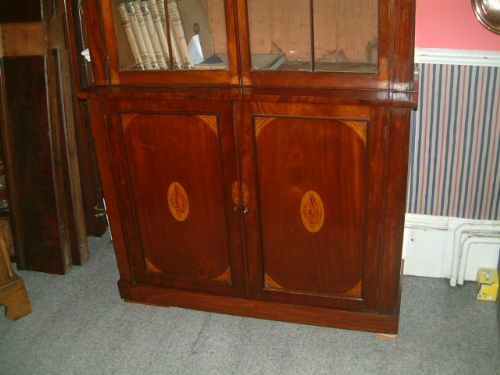 George 3rd Mahogany Inlaid Astragal Glazed Corner Cabinet on Bracket Feet. 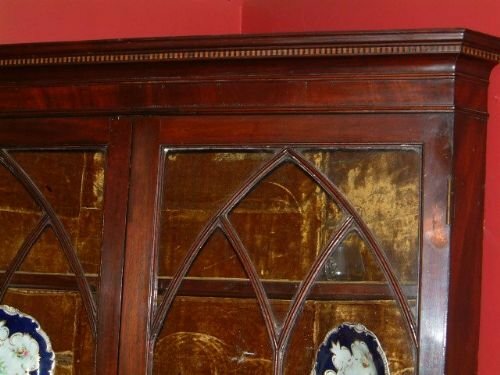 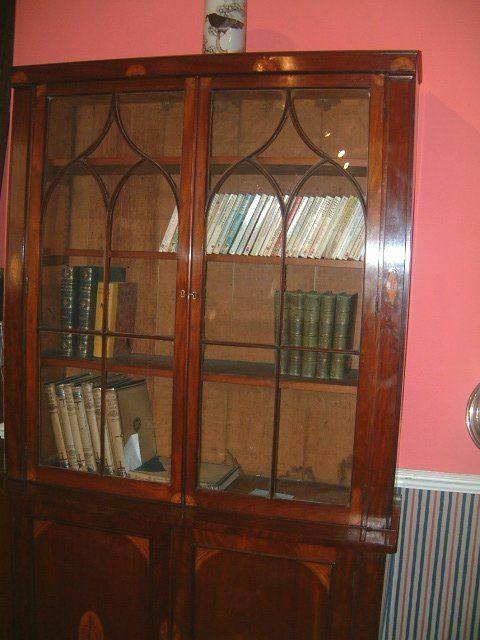 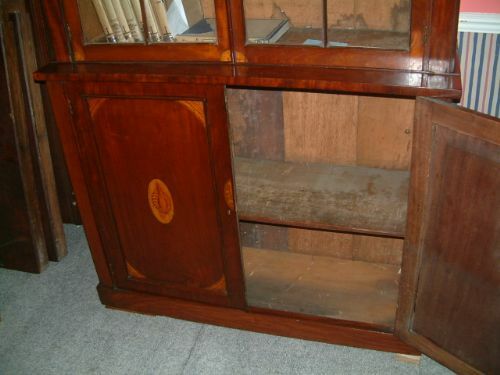 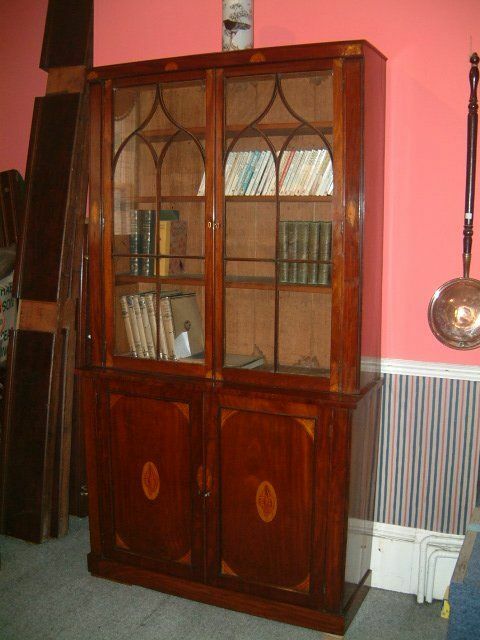 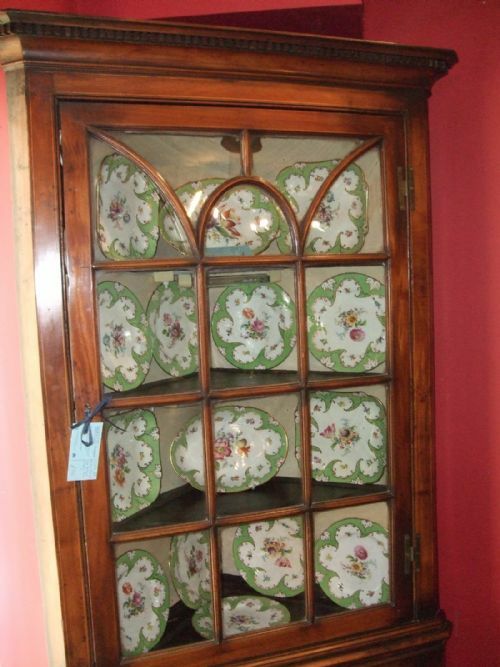 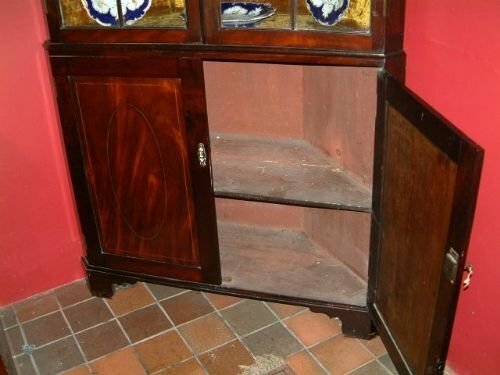 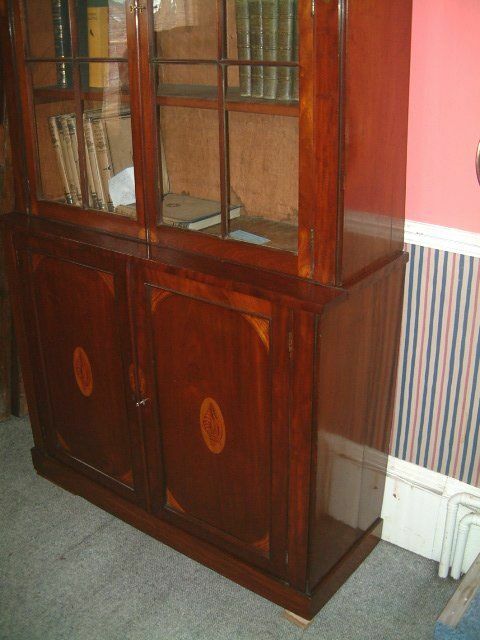 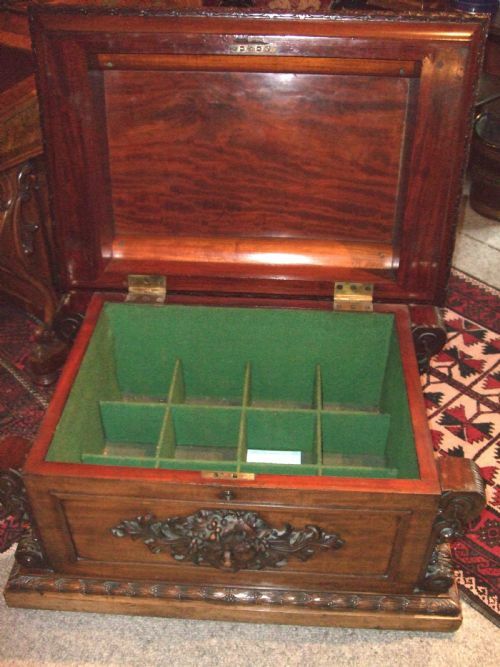 George 3rd Mahogany Inlaid Glazed Bookcase. 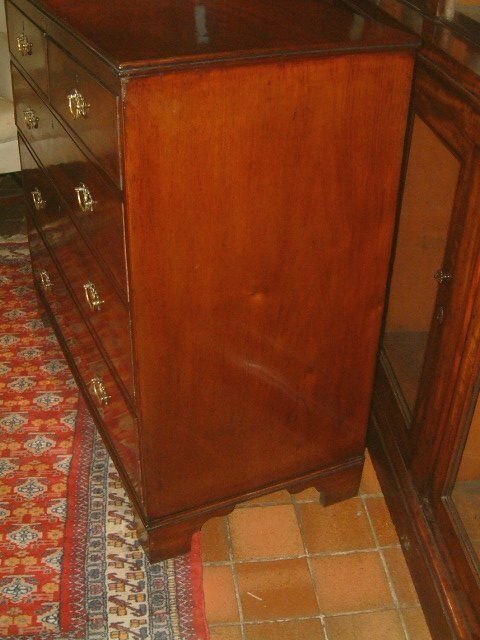 George 3rd Mahogany Inlaid Sideboard Nice Colour & Patination.